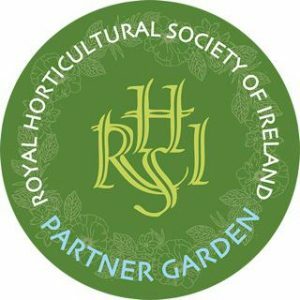 The RHSI Partner Garden Scheme is now in its seventh year and consists of 41 outstanding large and medium sized gardens throughout the island of Ireland. The Partner Garden owners generously offer RHSI members free or reduced price entry on production of their current membership cards. We encourage members to avail of this unique opportunity to visit these impressive gardens that display high horticultural standards in design, planting and maintenance. We would also recommend that members use the additional facilities where available, such as cafes, gift shops and plant sales. All the Partner Gardens are listed in alphabetical order below and by clicking the View link, members will be taken to the Gardens’ own websites. Please check these for opening dates, times and directions before setting off on your visit. Don’t forget your current Membership card – no card, pay full price!